There’s no doubt about it… writing unique, relevant and quality (original) content is the best method of increasing the organic search traffic of your real estate website. After you’ve identified the search terms (keywords) that you want your website to rank for, you spend a bit of time writing blog articles and pages on your website that relate. Next, it’s time to take a look at what’s working, what’s not and opportunities to target new keywords that you may have missed. If you’ve ever logged into Google Analytics you’ve probably noticed that your top search terms are “not provided”. Unfortunately these usually make up most of your organic search traffic, and soon Google will gradually make all your keywords “not provided”. How are you supposed to know what keywords to focus on if you don’t know what your website is already ranking for? That’s where tools like Google Webmaster Tools and HitTail come in. This article goes through the basics of what they are, why you need them and how it all works. It also gives you a few practical steps you can take right away to boost your own websites organic search traffic. We have a website www.realtyninjademo.com that demonstrates the features of our RealtyNinja REALTOR website platform, and we’ve had Google Analytics running on it for a few years now. 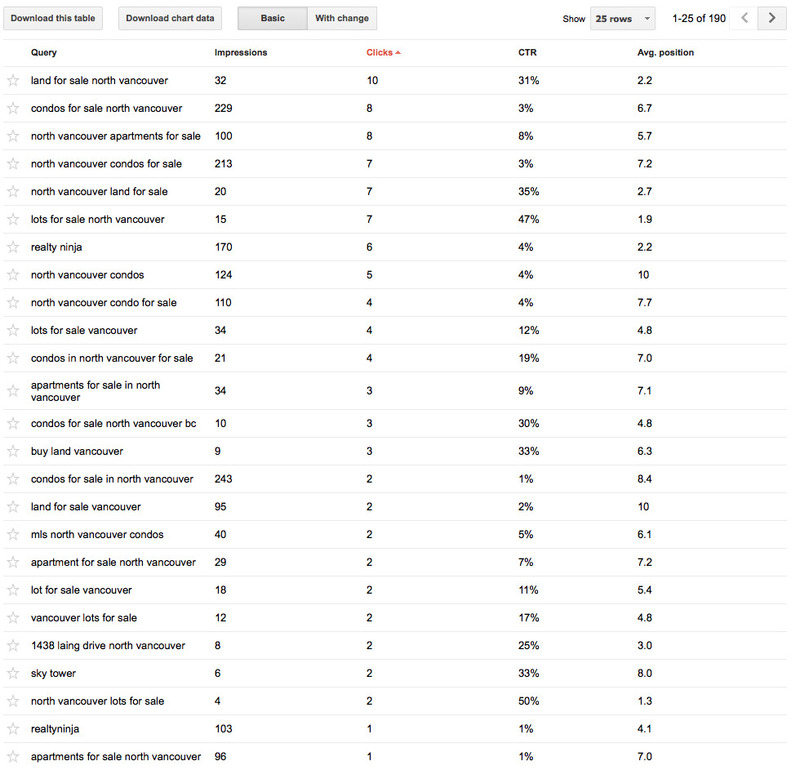 Before 2011, we would be able to see all the keywords that people were searching for in Google that led them to our demo site. In 2011, Google.com became “secure” by default, meaning that it was now https://google.com as apposed to http://google.com. This small change made it so that visitors coming from secure Google search pages would appear in Google Analytics under the label (not provided), instead of the actual search term. You’ll notice that 84% of our sessions are from keywords that are not provided. Bummer. First, login to your Google Webmaster Tools account and click on “search traffic”, and then “search queries”. This will bring up a list of the keywords you currently rank for, and your position. That’s much better. Now we’re getting some real information and can tailor our content towards what’s working and what people are actually searching for. Great. Now we can formulate a strategy: “create a Burnaby MLS search page and write a few blog posts about Burnaby real estate”. Hittail is essentially telling us that we already rank highly for North Vancouver related search terms, so if we apply the same types of pages/content towards Burnaby, we’ll get similar results. They know this by analyzing over 1.2 billion keywords from over 10,000 websites. It’s much better than taking a wild guess. Long tail keywords are three and four keyword phrases that are super specific. 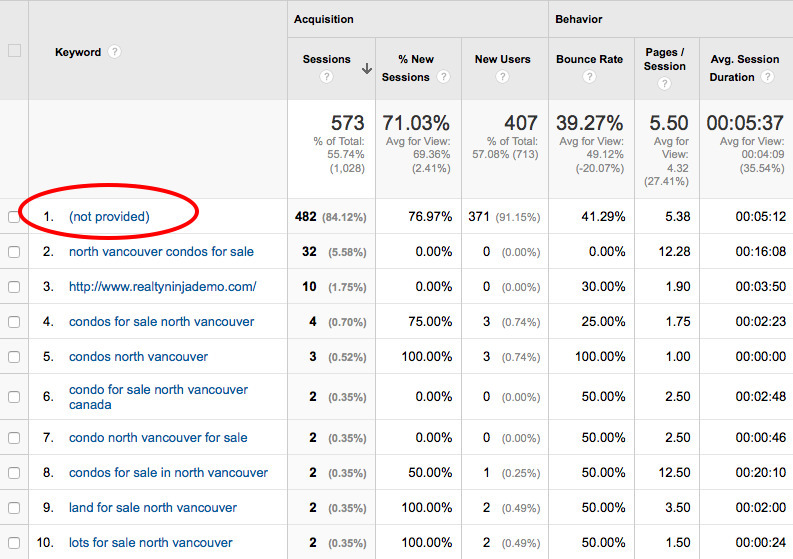 When a user’s search is very specific (ie: “North Vancouver 2 bedroom condos for sale”, as apposed to “Vancouver listings”) then there’s a much higher chance that person will be more likely to stay on your page and generate a lead. That is if your website delivers the content that specifically matches their long tail search. So, if you’re noticing that people are searching for these long tail keywords and ending up on your website, you should be making other pages on your website just like them (ie: “West Vancouver 2 bedroom condos for sale”)… because you have evidence that this approach works. Long tail traffic can make up to 80% or more of your search traffic… so it’s important to focus on them. It also means that there’s much less competition for these keywords, as you’re usually focusing them on a specific geographic region or other niche. Don’t try and rank for broad terms like “Vancouver realtor”, there’s 11 thousand other agents that are trying to do just that… you can assume that someone’s going to throw more money at ads than you or spend more time writing content than you. Focus on niche long tail terms and there’s much less noise. If you want to get super scientific about it… then you can track all this stuff over time and measure if the changes you’re making in your content strategy are paying off. 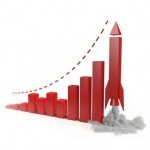 If you want to take your online marketing seriously, measuring ROI is an important step. An excellent tool for tracking your rankings is by Moz. The service isn’t cheap, but it comes with a ton of other stuff you can use. Check out the Moz Rank Tracker for details. I hope you enjoyed this article and found some value from it. Let me know what you think in the comments below and feel free to share your own techniques on how to increase your real estate website’s organic search ranking. Sign-up for the dojo and receive more awesome information to help transform your real estate business online and make the most out of content on your website.